What is the first thing that comes to mind when you hear about professional shippers of fine art? A team of expert art movers handling an Old Master painting or packing a museum-quality antique vase? That’s true in many cases. However, the fact is that most art shipping companies, including Fine Art Shippers, deal with artwork of any type, not only paintings and small antique pieces. We can actually ship any item, be it a huge outdoor bronze sculpture or a beautiful glass installation by a talented contemporary artist. Moreover, at Fine Art Shippers, we are also proficient in shipping equipment, home appliances, furniture, and a whole range of other oversized and oddly shaped items. Shipping equipment overseas is perhaps the most challenging shipping task you have ever faced. This applies to any type of equipment, from freezers and ovens to heavy vehicles, such as excavators and tractors. 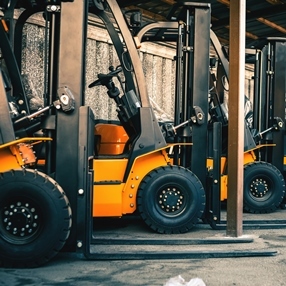 The latter occupy a special place because to transport heavy equipment is never easy even for the best freight companies with years of experience in this area. So take your time to read the following tips for shipping equipment overseas as they can save you much time and money! Set a realistic budget for your shipment, which will include all the needed services and costs, from packing and insurance to loading expenses and final delivery to the destination. Check out all the import and export restrictions. These may include quarantine requirements, safety regulations, local environmental demands, and other legal aspects of the destination country. Whether you are shipping equipment or any other items overseas, always consider taxes and duties payable in the export zone or country. Know the exact type of your equipment, its accurate dimensions and weight. This will help you choose the right mode of transport and find the most cost-effective way to ship it overseas. Hire a reliable company specializing in shipping equipment over a long distance. Plus, make sure that it is able to take care of all the paperwork and customs documentation involved. At Fine Art Shippers, we offer an extensive range of international shipping services and can help you ship your equipment to any destination worldwide. Besides, you will be pleasantly surprised to know that all our services are available at very attractive prices, making them accessible to everyone. Dealing with Fine Art Shippers means to get the best shipping experience ever!